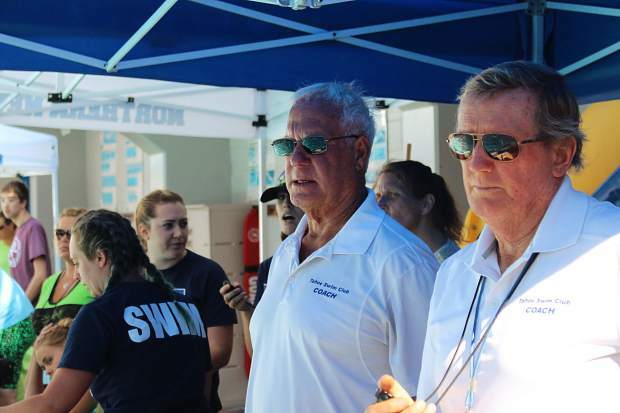 Longtime swim coach Jerry Erickson, left, is retiring after 46 years with the Tahoe Swim Club. Longtime swim coach Jerry Erickson is trading in laps in a pool for snorkeling on a Caribbean island. Back in 1975 when the South Lake Tahoe Recreation Complex was built, Erickson was asked to start up a swim program. Now 46 years later, the beloved swim coach is headed for warmer weather. “I’m off to Citrus Hills, Florida where my family is. 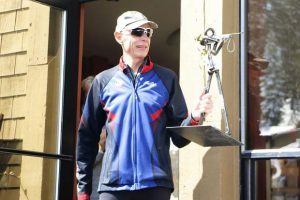 I’m going to split my time between there and the island of Caye Caulker, which is about 45 minutes from Belize,” said Erickson at the start of his last swim meet with Tahoe Swim Club. And the timing is right. 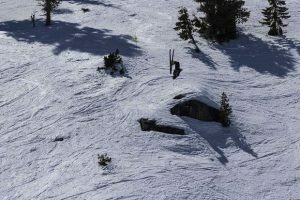 Last November, South Lake Tahoe residents voted to increase the Transient Occupancy Tax (TOT) in the city by 2 percent. The estimated $2 million generated annually is earmarked for the construction, operation and maintenance of a new recreation and swim complex. Construction of the new facility is expected to start in spring 2018 and be completed in 2020. Erickson helped build the Tahoe Swim Club up from a summer program to a year-round season. Right now, there are 60 kids in the club ranging in age from 5 years old to 18. 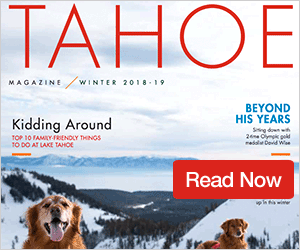 Though Erickson is looking forward to warmer temperatures and no winters, he said he would be back in Tahoe to ski — and to visit with his swimmers. 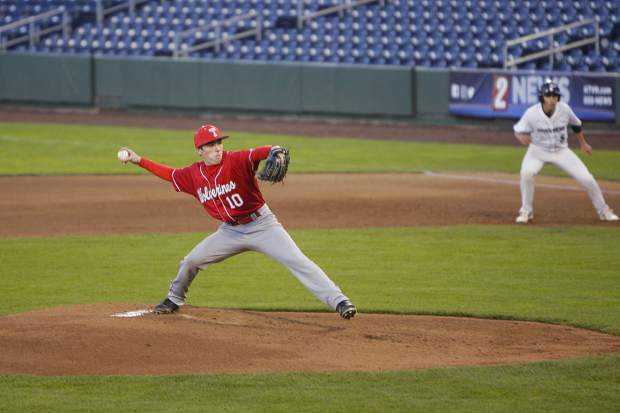 “I’ve enjoyed every minute of it,” said Erickson.